Exit 13 onto US12. Turn West on US12. Turn Left at the light on Sprague Street (the hospital is on the left hand side). 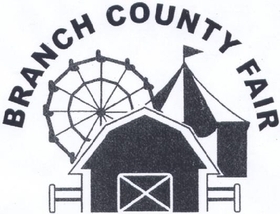 The Branch County Fairgrounds are on the Right hand side of the road approximately 1 mile past Sprague. Merge onto I-69 South toward Fort Wayne, then follow the instructions for coming from I-69.